Jaguar is nearing the end of an extremely aggressive 2016 model year that saw it introduce three new vehicles. The final piece of that evolution is the automaker’s newest entry level car, the new XE. After introducing the larger XF and the promising F-Pace crossover earlier in 2016, the new XE now takes its place as the smallest and least expensive sedan in the Jaguar line. 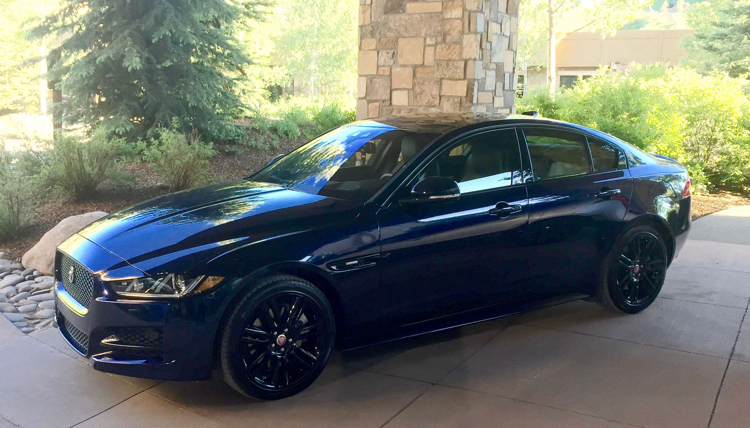 With a starting MSRP of $34,900 for the base 25t trim level, more buyers on the fringes of the mid-range luxury market can drive home with a Jag badge. 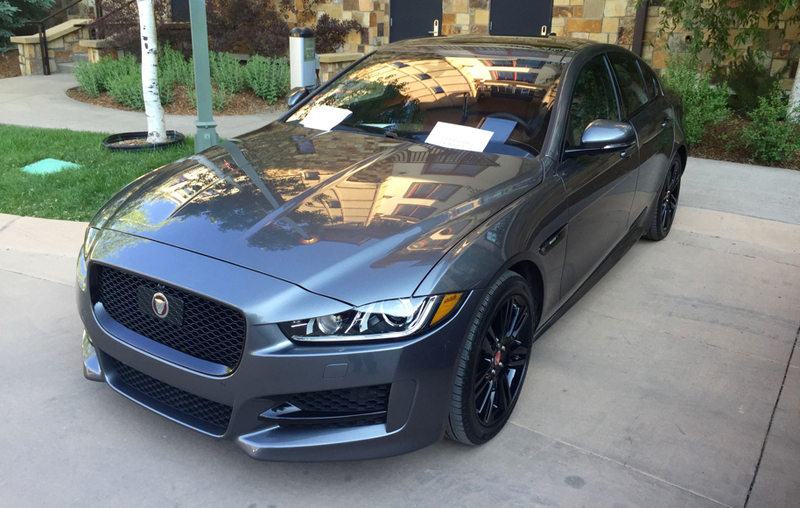 During a recent media drive event in Aspen, Colo., the press got a chance to test of the XE skimps on the signature Jaguar style or if belongs with its big cat sisters. It didn’t take long for the four-door to prove it belongs in the pride. The trim level tree for the XE is complicated. 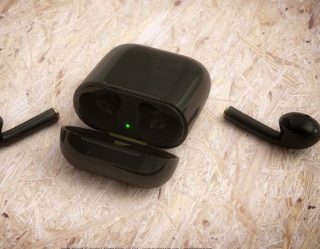 The car comes in standard setups, Premium, Prestige, and R Sport for three different engine types and sizes — a 2.0 liter four cylinder, a 2.0-liter four cylinder diesel and a 3.0 liter V6. The R Sport versions represent Jaguar’s performance class rides and feature special tuning and handling enhancements for the most enthusiastic drivers. When you add up all of the possible trim levels, you end up with the following mix: (…Deep breath…) 25t for $34,900, 20d for $36,400, 25t Premium for $37,500, 20d Premium for $39,000, 25t Prestige for $41,400, 35t Premium for $41,700, 20d Prestige for $42,900, 35t Prestige for $45,600, 20d R-Sport for $46,500 and the 35t R-Sport for $49,200. Since the car is new this year, first adopters can choose a special, kitted out First Edition for $55,500 — making it out the absolute top of the model list. While the upper-end setups in that list push their way to the more challenging end of luxury car pricing, but we’re still looking at four editions of entry-level Jaguar coming in under $40,000. And – when placed side by side with the new XF – the profile and the reduction in size doesn’t strike the eye as that significant. In other words, in size and styling, this every bit a Jaguar. With rear-wheel drive and four-wheel independent suspension, the XE offers a driving experience that maintains that familiarly smooth Jaguar feel. If there’s one area where Jag excels, it’s in the suspension department, and (even in its tightened up R Sport configuration) the XE chews up the country miles and the roughest city streets in total comfort. Inside, you can throw in a complete infotainment system, power everything, bucket seats, and leather. If you’re an Apple Watch type, the official Jaguar app will open your car doors without a key via gesture. 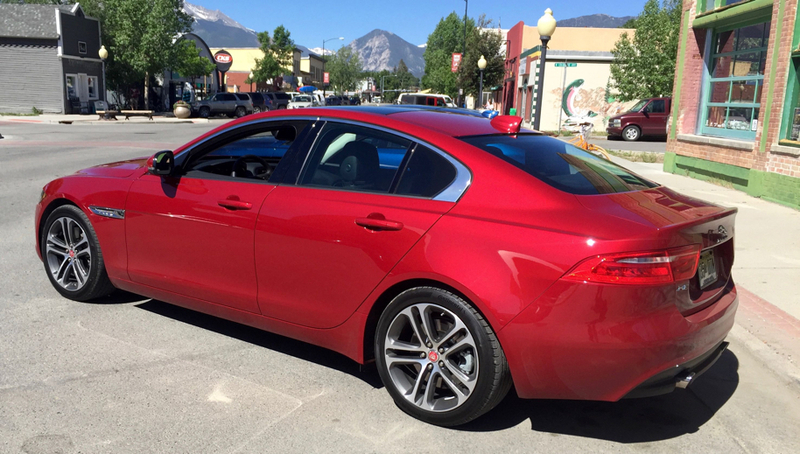 Finally, averaged together, the XE will earn MPG numbers of 21 street, 30 highway. Jaguar deserves credit for serving up their base car — the introductory machine for its brand — that offers all the styling and performance cues that mark the identity of this classic British brand. Essentially, it’s the least expensive Jaguar simply because it’s the smallest car the company now makes and not because they’ve skimped on the inclusions. 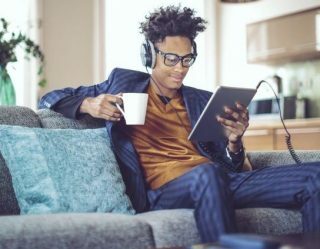 Now, buyers can reach into Jag for as much money as they might spend on a higher end consumer ride.